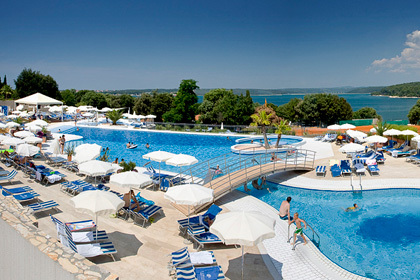 Located in the vicinity of the Lanterna Peninsula, and its lovely beaches, and the downtown Porec itself, the Valamar Club Tamaris is an ideal choice between the hotels in Istria, Croatia if sports and wellness is your thing. Not to mention the perfect surroundings for these types of activities: one is revitalised simply by looking into the blue, blue sea and sunny sky and inhaling the scent of pine. If you need to get yourself organised, the hotel offers a wide choice of recreational and entertainment activities. Families too are taken care of – you children will be cared for and entertained as well on the hotel playground, in games rooms, and the kids’ club also features a cinema and a disco. Luxury elements are within your reach – why not have your breakfast by the pool? 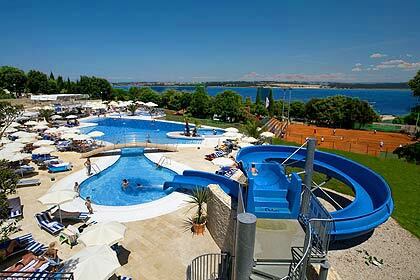 The Valamar Club Tamaris is a big wellness resort centre: it boasts 390 rooms and 71 suites. 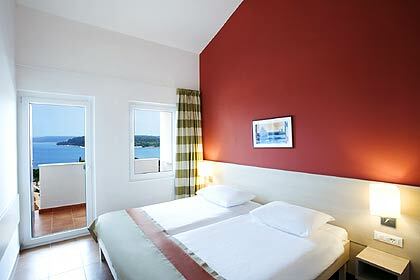 The choice of rooms is divided into singles and doubles and family rooms and studio apartments. If you opt for a family room, bear in mind smoking is not allowed. For disabled and special needs travellers, there are two specially adapted rooms. Air conditioning is hotel wide, and all rooms have own balcony. This is the place to be if you are an active person. Fitness and an indoor sports court are present in the hotel, while you will find tennis courts outside. There is also an aerobics room, while opportunities for water sports are simply rife: there is a diving centre, together with a school, and you can rent gear too. Sailing and windsurfing are among the options. You are free to use hotel bikes, which organises cycle tours occasionally. If you choose pool in addition to sea, you will not be disappointed – there are separate pools for kids and adults, and pools feature water splash effects. In terms of food, there is an all-inclusive light meal option, but an a la carte restaurant too. Themed dinners are thrown from time to time. Children have their ice cream afternoon parties. June to September, there are also the so-called gala fireworks dinner events. If you have a small kid, don’t sweat the small stuff. Babysitting for children aged 1-3 is provided in the centre and you can also have the sitter in your room at extra charge. Wellness facilities include an outdoor Jacuzzi, Finnish and Turkish sauna and a beauty centre. Wireless internet is provided in the hotel lobby. Parking for guests is free. 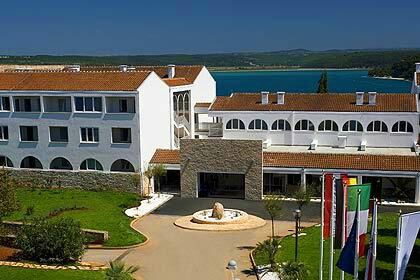 The hotel operates from April to October.